The walk took place at Kloofendal Nature Reserve (Gauteng). The Gauteng Committee of Young Water Professionals South Africa (YWPZA) and The DESNET Foundation organised a truly historical event: a 5km walk to celebrate South Africa’s Human Rights Day observed on 21 March, and World Water Day on the following day. Participants were encouraged to walk with a sealed container of water and then donated it at the end of the walk. The aim of the event was to make the public aware of the value of water, and the reality of many children, often girls, who are kept away from school because they have to walk kilometres to fetch water for the family’s use and to build a community that conserves and uses water sparingly in an effort to make South Africa a more water secure country. There was a total of 450 litres of water, packaged in 5L sealed bottles, that was received for donation. This water was donated to a nearby community that has no access to clean, running water. Malebo Matlala, founder of The​ DESNET Foundation was happy to thank all the people who donated water and came to the event. A technical tour to Rand Water’s Vereeniging Water Treatment Plant and Analytical Services Laboratory saw 31 young water professionals exposed to the plant treatment process and quality control processes through analysis of drinking water. The treatment plant is a conventional aerobic treatment works, although the facility was erected in 1922 and still treats 1600 ML/day. The Rand Water Analytical Services Laboratory consists of four laboratories (organic, inorganic, microbiology and hydrobiology laboratories). The group were introduced to the various instruments used at the lab, and the process the lab follows from receiving the samples to providing analyses and results to the customers. In March 2016, the Consulting Engineers of South Africa (CESA) Young Professional Forum (YPF) Gauteng South branch hosted an event for the launch of their 2016 calendar, with a combined ‘Meet and Greet’ event. ​Along with the South African National Committee on Tunnelling (SANCOT) Young Members Group (YMG), the Young Water Professionals Gauteng were invited to launch their own calendar. The presentation was well received as, in addition to profiling YWP-ZA, it went to the extent of highlighting potential collaboration opportunities between CESA YPF and YWP, and highlighting the overlap of membership databases, and therefore relevance to CESA YPF. A water sector career guidance session was organized at the Tshwane University of Technology, Arcadia Campus. Dr Inga Jacobs-Mata, provided a presentation session which detailed areas of expertise required in the water sector, routes through which students in attendance could access careers in water, an how the roles of millennials in the professional environment may impact the way they should approach careers in the water sector. ​Dominic Tshabalala, provided a presentation on networking, job searching and interview skills, particularly in the context of early-career professionals. As part of the popular Water Utilisation Honours degree offered by Tuks a recent field trip was arranged for students and fellow YWP Members to the Rietvlei WTW as well as Olifantsfontein WWTW. The objective of the trip was to create awareness on the various systems and process involved in treating drinking water and wastewater. A total of about 60 participants attended the field trip and offered an excellent platform to not only discuss the technical operations of such treatment plants but it also provided a networking opportunity for those already working in the industry. Participants ranged from engineers to scientists and microbiologists Once again illustrating the value and importance of multidisciplinary involvement in order to help address the water issues at hand. For more information of the treatment works, please click HERE. About 80 grade 7 learners and one of the teachers from Khokhosi Primary School attended the workshop and they were addressed about the different stakeholders along the river, and the positive and negative effects each stakeholder has on the river, along with the water sector job opportunities involved with each interaction. Click HERE to learn more. Prof Olsson visited South Africa January and February 2014 to facilitate the YWPPublications Workshops. He kindly made himself available to do a water-energy nexus lecture during his YWP Publications Roadshow. The lecture took place on 24 January and was funded and chaired by ESKOM and the Department of Science and Technology. The aim of the seminar was to create an awareness of the important couplings between water and energy. It showed how energy is used in a variety of water cycle operations and demonstrated how water is used – and misused – in all kinds of energy production and generation. For more on the presenter please click HERE. Following the biennial YWP-ZA conferences, publication workshops are held in a few of the South African provinces. The purpose of these events was to equip students with the skills needed to publish in leading international journals. The workshops followed a diverse program covering writing skills, practical activities, review systems and extensive interrogation of participant papers. Click HERE to learn more about this event. To learn more about the publication workshop series, see the National Events & Programmes. This event was arranged by the Department of Science and Technology and the Gauteng YWPs were invited to attend. The lecture was presented by Claire Janisch, founder of biomimicry SA. This was an excellent occasion to learn about the opportunities in this growing field. Click HERE to learn more about this event. The Gauteng YWP committee organised a tour of the biogas facility at Johannesburg Northern Wastewater Treatment Works. The biogas to energy plant is the first one of its kind installed at a municipal treatment works and was officially launched last year. The system involves collection of the biogas produced in the anaerobic digestors, gas conditioning and scrubbing and finally the operation of a gas to power generator. The electricity produced by the generators is fed back into the wastewater treatment works grid to reduce the reliance on electricity provided by Eskom. The attendees were first given a presentation by Shaun Deacon (Johannesburg Water) explaining the process of digestion and the challenges and benefits of the project. This was followed up by a walk around the facility, guided by Jason Gifford (WEC Projects), where each process in the biogas to power generation facility was described in depth. The event took place on the 16th October 2013 at Rand Water scientific Services and Water Wise. Fifty VUT students attended the event and nine YWP members also attended. Three activities were scheduled for the day. The first activity was the water treatment experiment during which the delegates were divided into groups as they took part at the water treatment experiments. The second activity was the water treatment plant tour, whereby the delegates took a train tour into the water purification plant. The third activity was the laboratories tour. During this phase it was briefly explained to the delegates how water was analyzed and they were taken through Microbiology and Chemistry Laboratories. We would like to thank Rand Water and VUT for the support. Mahlomola Martin Lefupana (UKZN) and Annesley Crisp (UCT) engaged in debate. 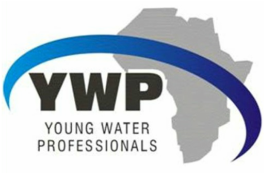 YWP-ZA Committee developed a symposium to improve public speaking skills of young and emerging water professionals. This event was carried out through a debate competition at the WRC Research, Development and Innovation Symposium in Pretoria. Click HERE to learn more about this event. The workshop took place in Katlehong at Ponego Secondary School. About 200 grade 12 learners and their teachers attended the workshop and they were addressed about the state of the South African Water Sector and career opportunities in this sector. The workshop was facilitated by Ms. Shanna Nienaber and Mr. Silver Ngwenya from YWP–Gauteng Chapter. The workshop provided platform for YWP–Gauteng Chapter, students and teachers to share information and knowledge particularly in the water and wastewater sector. Various challenges in the water sector were highlighted, discussed and possible solutions proposed. A career in the water sector was another topic of the day whereby; students were given an overview of a wide variety of careers in this sector and the relevant high school subjects & tertiary qualifications that they can pursue. Learners were also advised on study methods towards preparing for exams. The workshop was marked by the positive participation and enthusiasm shown by the learners. Learners were also given t-shirts and study materials sponsored by Thuthukani SNF and DWA respectively. This really was a remarkable event. It was a privilege for Gauteng YWP to engage with such a vibrant group of learners. The Gauteng Young Water Professionals (YWP-ZA) and University of Johannesburg (UJ) in cooperation with Cewas, the Swiss-based international training centre for Start-Ups in the water sector organised a 2-day workshop on business development in Sustainable Sanitation and Water Management (SSWM). The Department of Science and Technology and University of Johannesburg sponsored this event. This was an excellent opportunity to learn the basics in terms of business start up and business plan development! This opportunity was organised by the Gauteng Young Water Professionals and kindly sponsored by the Department of Water Affairs. It provided the opportunity for students of law from around Gauteng to engage in public debates on a range of water law topics. The Mutale River Clean-up Project was initiated by a team of volunteers who are passionate about the Mutale River. These volunteers managed to cover around 52 kilometres of the river on foot over a two week period. They collected and removed 55 rubbish bags and one truck tyre. This was done in collaboration with local community members. Gauteng YWP supported these young professionals by linking them to some key experts in the Mutale area and providing them with IWA water testing kits. The volunteer team got local school children to perform these basic water tests at strategic points throughout the river clean up. Thank you to David de Wet for arranging this event! This was a public lecture and engagement opportunity. Gauteng YWP collaborated with the Water Research Commission (WRC), the Water Institute of Southern Africa (WISA), Golder Associates and Tshwane University of Technology for this event. This was an excellent opportunity to learn more about water reuse and recycling. The focus of this lecture was on the water planning process and groundwater in Australia. It particularly looked at some innovative policy examples in forestry. The lecture was presented by Prof Jennifer McKay who is the Director of the Centre for Comparative Water Policy and Law (CCWPL), University of South Australia. This event was organised in partnership with the Council for Scientific and Industrial Research (CSIR) and was an excellent opportunity for YWPs to engage with more senior professionals around the topics of water law and governance issues. Click HERE to learn more about this event. The event unpacked the ethical complexity of working and operating in the water sector. Dr Jerry Delli Priscoli, from the US Army Corp of Engineers, presented this lecture. This was arranged in collaboration with the US Embassy and UP Water Institute. This was an excellent opportunity to learn from an imminent academic and water conflict mediator. Click HERE for more details. This event was held in partnership with Momentum and focused on providing Gauteng YWPs with the knowledge needed to do appropriate financial planning and build good working relationships in their early careers. They also discussed some of the opportunities and challenges facing YWPs in their early careers in the water sector. Click HERE for more details.